Barbecue Master: Dysfunctional Family Christmas - Take it Outside and Grill! 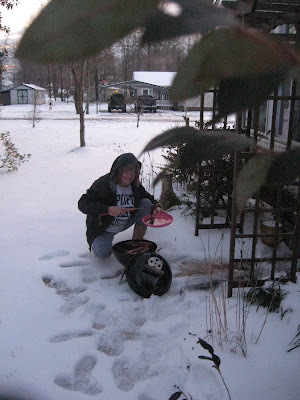 Dysfunctional Family Christmas - Take it Outside and Grill! There are some questions that have obvious (but not so true) answers like, "How was your Christmas? (or fill in your holiday) We all know that a warm, fuzzy response is appropriate and called for. "Christmas was lovely. And yours?" On the flip side, we all know you do not get family near and far together and have a totally harmonious celebration. In fact, I'd wager most families have some of their most dysfunctional moments of the year on Christmas. After all, there's so much hype. How can anyone match those magical TV and movie moments? Now don't get me wrong. I'm all for family Christmas gatherings, and the bigger the better. Get er' done. These are your peeps and friends after all. But . . . there are some moments that that do put the dis in dystfunction. You show or share me some of your dysfunctional Christmas memories, and I'll show/share you some of mine. 1. Granny got tipsy one year and literally tipped over backwards in the rocking chair. She grabbed the Christmas tree to try to stop her chair flip 'n tumble. Mom grabbed the tree instead of MIL Granny (-: No one could find the spilled gin and tonic . . . until I put on my tennis shoes to go outside to play basketball and had a shoe full of liquor. Try explaining smelling like gin to your middle school buds. 2. Went with aunt to take niece to see Santa. Niece cried as Santa looked scary. Aunt cried as no photos for Christmas. 3. Relative got son a swim in tub toy. Played with it before she wrapped it. Mr. Diver would not swim, because batteries had corroded and ruined inside of wonderful swimming toy tub man. 4. Oops. Wrong order. My conservative brother who is into computers did send a thank you note for the lovely little gingerbread house. He was supposed to get a tin of cashews. No one knew he got the little kiddie house until January. 5. Speaking of food. My aunt (not the senile one either) couldn't eat nuts. She did find the box of nut candy and sucked all the chocolate off and put the wet nuts back in the little brown paper holders. Oh. Ick. 6. Now, my confused aunt really made Christmas interesting. She had a thing about unplugging stuff and turning off the oven. You think the turkey is close done, and nope . . . the oven had been turned off. And, the bread machine . . . many a loaf she wrecked by pulling the plug. But, at least she did not lock us all out of the house on Christmas. She did that in the summer and told us to go away and that she "gave at the office." 7. I thought I'd be slick and move Christmas up a day so as not to have to drive Santa toys across state. My son's little buddy came to tell him bye before the trip and saw all the toys in the living room. "Where you get all this stuff?" asks buddy. "Santa," says my kid. "He didn't bring me nothing," said the other kid. Ut oh. "Maybe you was a bad boy," my kid told him. Neighbor kid starts crying. Bummer. 8. One uncle is not so coordinated. He sat in the bent wood rocker. And, yes, he flipped it over. No bigge? Wrong. He broke his thumb, so we went to ER that Xmas. ER is not a fun place to spend Christmas. 9. One year I was thrilled Santa brought me a football. Then, someone said that was for my brother and that I got the Barbie car. Geez. My brother did not even like football. 10. One of my buddies "cool" parents in high school told me to make myself some egg nog. She said use the green milk looking container and only ONE shot of Jack Daniels. Well, the butter milk was in a green marked container. If you ever want to taste the worst mixed drink ever - pour some JD in buttermilk. Well, HO HO HO - it could have been much worse (no one has gone to jail on Xmas day - so far at least), and I'll bet some readers can give me some even better ones. But, those are my favorite dysfunctional Christmas memories, and I'm sure we'll make some more and enjoy telling them again every year. Anyway, I'm manning the grill this year. How much drama can that be with it scheduled to be cold and rainy? If you get hot under the collar and your relatives drive you nuts, just crank up the barbecue and stay busy. You'll still hear all the funny stories, but you won't end up being a main player. Cyndi, you are a hoot. I have some family members who would get along well with yours. Hey Cyndi! Very good read indeed! Enjoyed it much. Guess we'll have a pretty quiet Christmas as there's not much family to get together here. Pretty boring, pretty sad holidays. Oh well....! Hope you guys have a super great Christmas!